You Susan G. Komen 3-Day® Participant Center is chock full of amazing tools and resources to help prepare you for the Komen 3-Day. The best advice I can give when it comes to your Participant Center is to log in sometime when you have a good 30 minutes or more to just explore. Click around on all the different links and discover what goodies are waiting inside. I could devote a whole series of blog posts to detailing the amazing tools in the 3-Day® Participant Center, but today, I want to focus on a few fundraising gems. 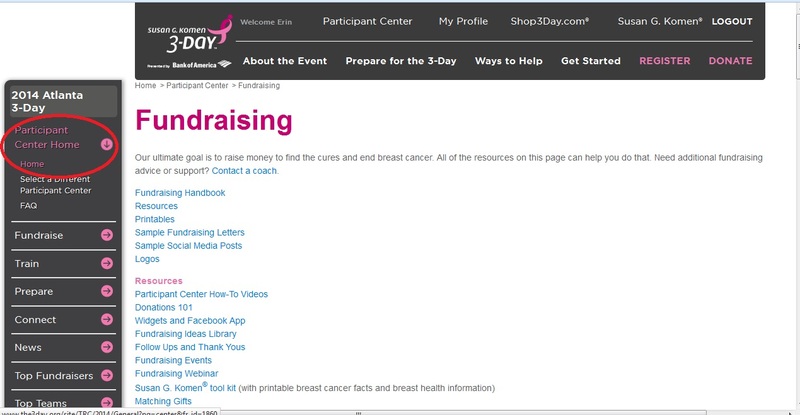 You can find the fundraising resources by logging in, then clicking Fundraise in the left-side navigation menu. From there, click on Fundraising Tools. When you’re done poking around and have gathered heaps of amazing strategies, get back to the Home Page by clicking Participant Center Home in the left-side menu. Now, look to the menu on the other side of the screen and click the pink colored button that says Progress. This will open a screen that shows you exactly how much you’ve raised and who has donated to you and when. Did you know that your donors can leave you personal messages when they donate (different from the public messages that scroll on your fundraising Honor Roll)? You’ll see them here! 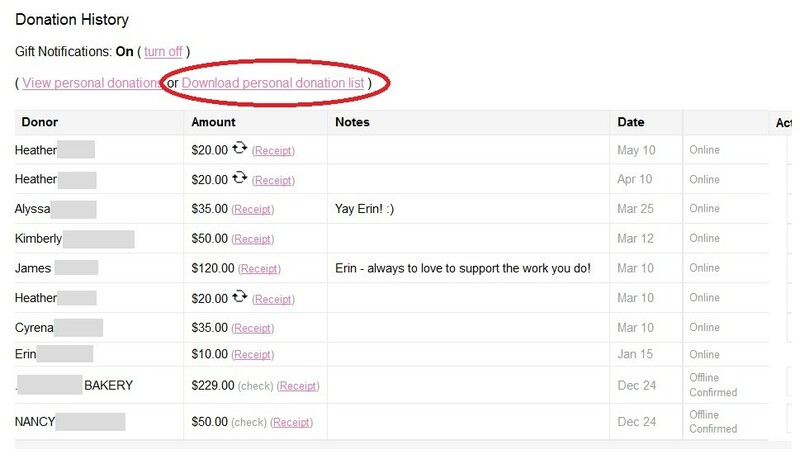 And, you can even download a list of your donors, complete with addresses to send those heartfelt thank you notes to. Your 3-Day fundraising is a big commitment, so we give you big tools to tackle the challenge. Spend some time with your Participant Center, and if you ever have questions that you can’t find the answers to, our 3-Day coaches are just a phone call away at 800-996-3DAY.